With a few simple ingredients and a food processor, you can stock up on the perfect snack that will boost your energy and quell your cravings! You're busy, you're in between meals, and you need a backup plan. Having snacks on hand - in your car, in your bag, in your desk drawer - is part of responsible "hanger management"; you're very aware that going without food for too long often results in low energy, brain fog and irritability. Energy bars contain simple carbs to rev you up and fiber and protein to keep you sustained. Better yet, they don't bruise in your bag like bananas or apples, nor do they leak or spill like dips or yogurt with crudite. First of all, you know exactly what ingredients you're putting into them. There are plenty of tasty, clean options on the Market (we like Pure Bliss!) but too many "energy" bars have not-so-great ingredients which include things like high fructose corn syrup or fractionated palm oil. Yikes! Furthermore, making your own at home means that you can customize to your taste. Like extra cinnamon? Add another dash. Want more nuts for crunch? Make it so! Because you're not paying for the processing and packaging of your bars, you'll save money. You'll save even more when you source your ingredients in bulk, on sale or in season. 1) Combine all of your ingredients into your food processor and pulse until well combined into a sticky dough-like texture. You may need to to scrape down the sides with a rubber spatula a few times. The mixture is ready when it's formed a ball inside your processor. Bonus tip: if you want small energy balls, you can skip the rest of this recipe! Just make little balls out of your mixture and chill in the refrigerator until ready to eat. Sweet! 2) Lay wax or parchment paper onto a baking sheet and flatten your giant energy ball in with your hands. Lay another sheet of on top, and roll your mixture out into a rectangle or square shape, until it's about 3/4 of and inch thick (or whatever thickness you prefer). 3) Cover and let sit in the refrigerator until firm. This will take an hour or so, but you can let it sit overnight. This is the fun part! Keep in mind that depending on the ingredients you choose, you may have to play with the ingredient ratio to keep the texture and flavor balanced to your liking. A good rule of thumb is to keep the dates, the nuts/grains/seeds and the dried fruits in a one-to-one-to-one ingredient ratio, but it's completely up to you to experiment with the texture and flavor that suits your tastebuds. 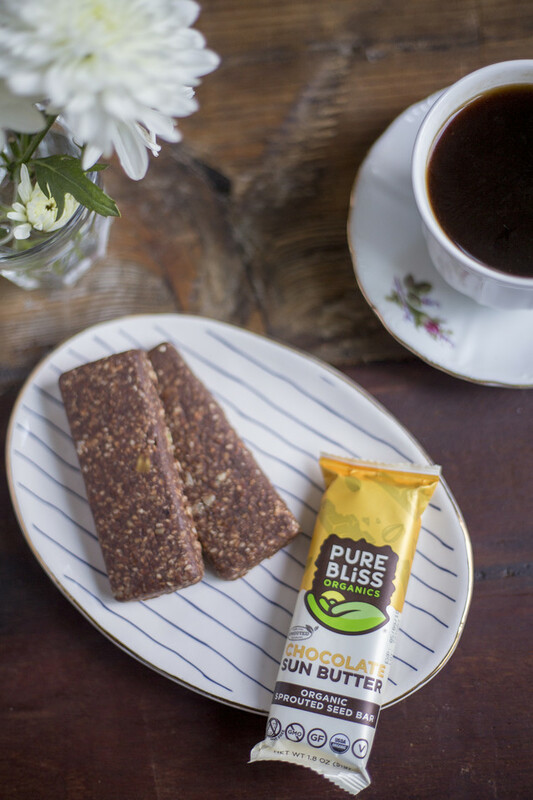 It's difficult to make energy bars unpalatable, so let your adventurous and creative side shine! The nuts you put into your bar should supply a good dose of protein, but stirring in your favorite protein powder takes it to a whole new level! Add in one teaspoon at a time, and if the powder turns your mixture dry, throw in some extra dried fruit or dates to level out the consistency. ...and seed butters! 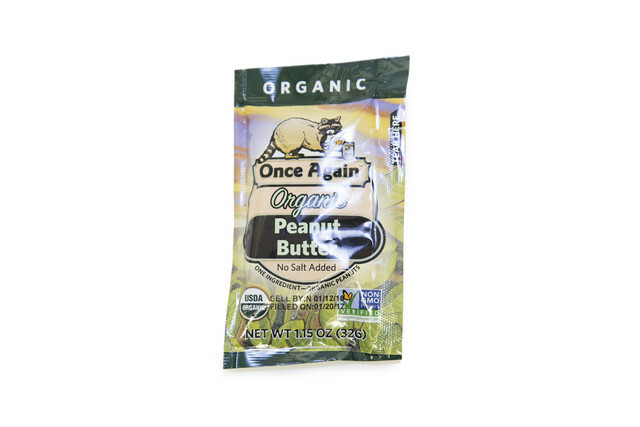 If you're a peanut butter fan, adding it to an energy bar is a no-brainer. Almond butter also plays nice here; it has a mild flavor while giving your bars extra richness from it's natural fat content. Those who are sensitive to nuts need not be excluded - sunflower seed butter and tahini (made from sesame seeds) are a safe and delectable option. If you're all about the fiber and flavor, go for the grains. Whether you choose good ol' plain oats or your favorite granola, your'e sure to come up with something worth getting excited over at snack time. Remember that oats and granola are dry ingredients, so you may want to add in more dates or dried fruits to compensate for texture in your bars. Chia and flax seeds are loaded with ALA, which we convert in our bodies to usable forms known as EPA and DHA. These omega-3 fatty acids are essential to preventing heart disease while also supporting mental health and cognition, and the seeds themselves come packaged with fiber and essential vitamins and minerals. Keep in mind that whole flaxseeds have a tough, fibrous outer shell that our digestive systems can't penetrate, so opt for ground flaxseed when you can! While agave and stevia get a lot of trending press, local honey, real maple syrup, molasses and sorghum are great add-ins when the dates alone aren't satisfying your sweet tooth. Because they are less processed and less refined, they lend a mild bitterness which adds complexity to the flavor profile of your bars. They're also rich in B vitamins and minerals like calcium and iron. While many nutrients in fruit jams suffer due to the heat in preserving, the concentrated fruit sugars are also a wholesome way to add sweetness to your bars. You can blitz your favorite chocolate in with the other ingredients in the food processor, or you can press chopped pieces into your mixture before rolling your bars out. In addition to beneficial antioxidants and anti-inflammatory compounds, mood-boosting Dark chocolate will lend bitter notes which nicely contrast with the sweetness of dates... but, let's be real, any kind of chocolate will fit in this recipe quite nicely. Heads up! 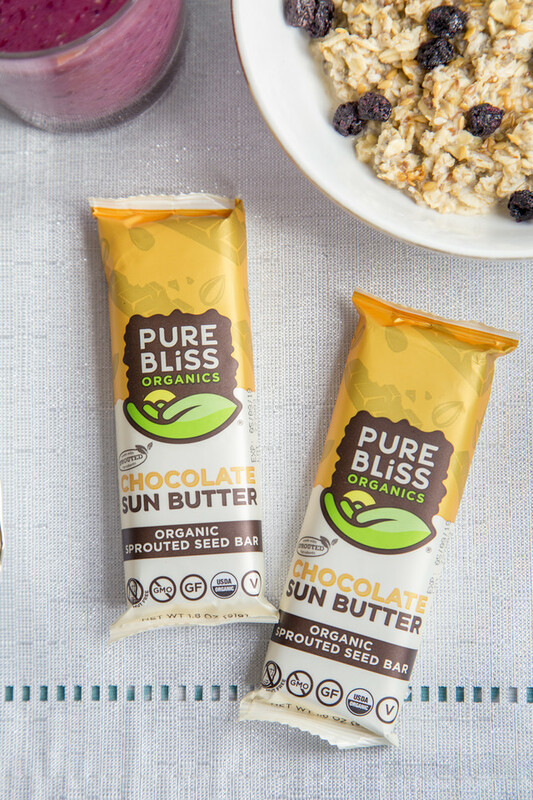 Pure Bliss Organics sprouted seed bars are on sale for a limited time in our Market. Grab yours ASAP!